All my life I’ve wanted to run. I don’t remember exactly when the idea arose, but it was there all along inside me waiting, watching; wondering if I would do anything to bring it to life. My dad was a runner (and has recently started again to support me in my quest to run a 5K). I’ve always admired that and thought running was so cool! I dabbled in cross-country running when I was in elementary school, but a lack of confidence and belief in myself allowed me to push the desire aside, as I have with so many others. Over the years I have made several attempts at running. I even went so far as to complete a half marathon, but when running became challenging, I told myself it was too hard for me and opted to walk instead (a gallant choice for many!). When things got tough, I quit on myself. I’ve done that a lot. I ALMOST quit this time too! 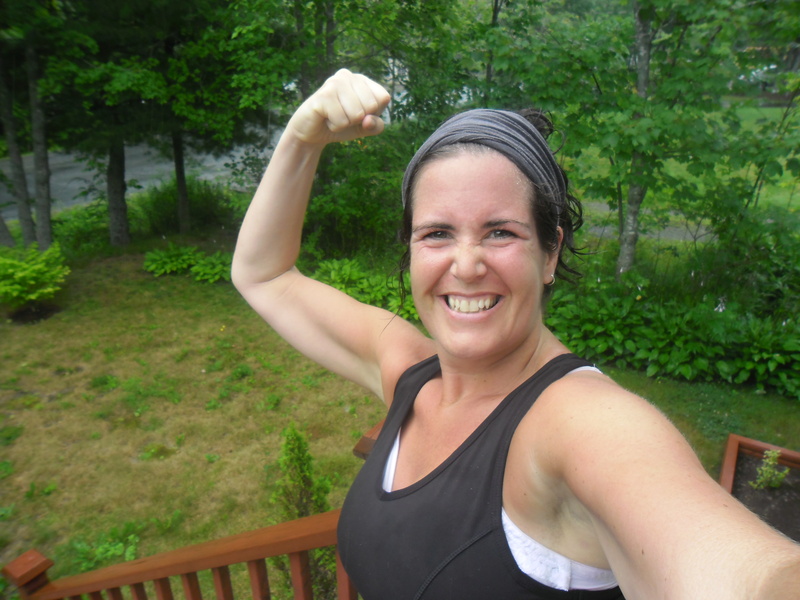 If you’ve been following my journey you know that it was week 5 of the Couch to 5K program and I saw that workout 3 was twenty minutes straight. “TWENTY MINUTES STRAIGHT?” I shouted to myself incredulously. Get real. As if. The most I had run in succession was eight minutes. It seemed impossible. It wasn’t! We are capable of so much more than we think. Today I ran 5kms without stopping!! Including hills! It took me 39 minutes and I am over the moon about that! Can you tell by looking at my face in the picture above? I kicked down the mental brick walls that have been blocking me for what feels like forever and I just freaking did it. Way to go!!!! I’m going to start the program about a week after my marathon. Maybe sometime next year we can run a 5 km together! Thanks! Only a week? You might need a bit more rest 🙂 I would love to run a 5k with you! I love the pictures of your strong muscles!!! Very impressive!